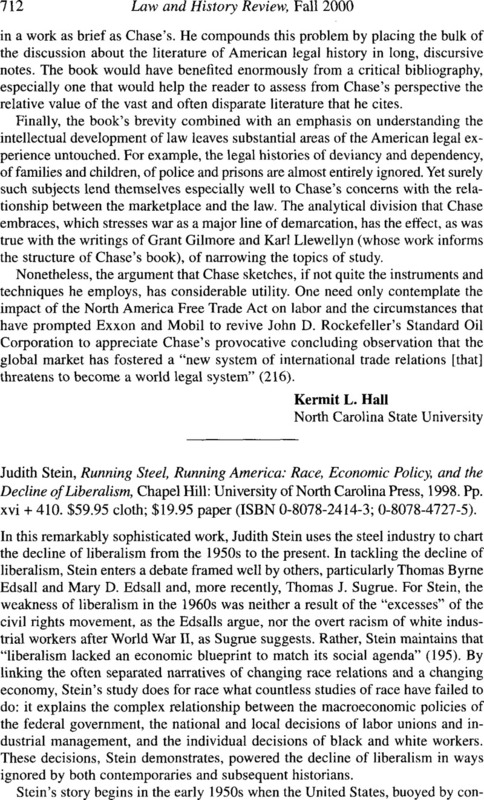 Judith Stein, Running Steel, Running America: Race, Economic Policy, and the Decline of Liberalism, Chapel Hill: University of North Carolina Press, 1998. Pp. xvi + 410. $59.95 cloth; $19.95 paper (ISBN 0–8078–2414–3; 0–8078–4727–5).